We are hiring a maintenance coordinator! 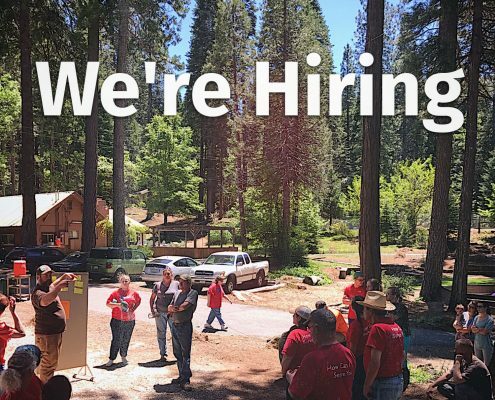 Many of our ministry partners always say that working at camp must be one of the best jobs ever. Well, we agree! Camp Alta is a special place. But it does require many hands with the right heart to make it all happen. At this time we’re looking for someone who has a mix of applicable skills, a desire to serve, and wants to be a part of something more. Please click on the link below for the job description and application for our maintenance coordinator position. If you’re interested or someone you know is, then please have them fill out the application and email it to info@campalta.org. Call us at 530-389-8710 if you have questions. © 2019 Camp Alta. All Rights Reserved.